The Scree Gaiter is designed to keep out mud and debris, for use with approach shoes or the new generation of lightweight and grippy fell running shoes. 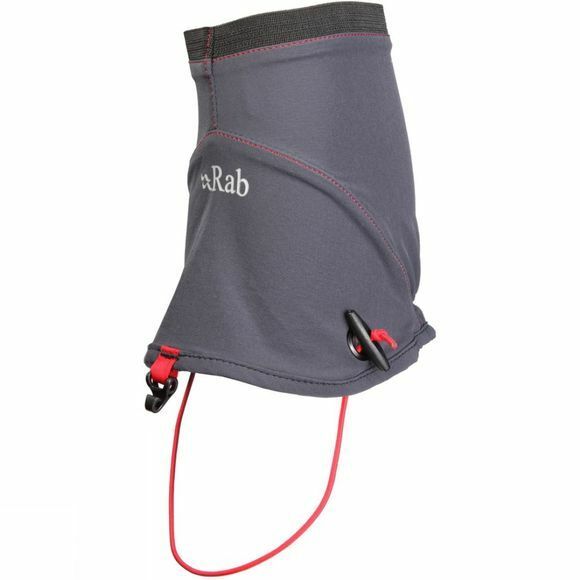 This very breathable, lightweight ankle gaiter in stretch softshell fabric is the first non-waterproof Rab gaiter. A simple elasticated cuff and a cut-to-fit underfoot bungee provides fit and security, while reflective details mean that your partner (and competitors) will only see your heels at your next mountain marathon.